Finally it is here – the monthly update routine is here again. 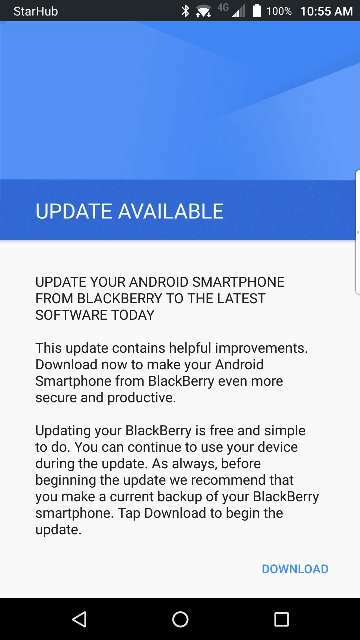 The August Android security update for BlackBerry Android smartphones is now out and once downloaded and installed, you should see your security patch level change. This time’s update will patch the device to August 5, 2017, or later. However, that said, it seems like only the BlackBerry KEYone and BlackBerry Priv is getting it with no news for the DTEK60 or DTEK50 yet (which are both stuck on 5 June update still). As for the BlackBerry Priv, its build is now AAN335. In addition to security update, it seems like BlackBerry also included some tidbits for the BlackBerry Launcher (v1.1.5.7163) which adds another 2 more icon packs, which adds icons for the BlackBerry 7 and BlackBerry 10 as well. (Note that you would need the latest Hub and BlackBerry apps to have it).